Before you look at the best units and have sticker shock, we will learn all drawer and undercounter options available for your kitchen. We'll discuss where to place a refrigerator drawer, why you might want one, and the 4 best models. Drawers can cost more money than an entire refrigerator. So, the best way to buy a drawer is to buy it as a companion to a conventional refrigerator. This Samsung RF22KRED is $3,099. 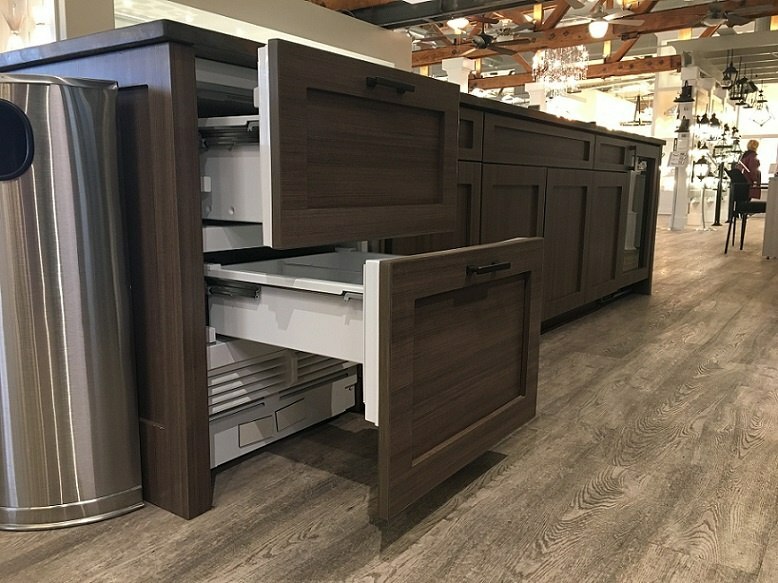 This unit has two drawers - the top one can be switched between freezer or fridge mode, allowing more flexibility in your kitchen. You can buy a beverage center (refrigerator with wine storage) or simple refrigerator starting at $1,049. It is a swing door versus a pull out drawer, but it will be much less expensive. Drawers are the most popular refrigerator because it provides ideal storage. The drawers pull out, so it leaves more room if you have a tight island. It is a great refrigerator for kids because it gives them easy access to their juices and yogurts. They will not be rummaging through your main refrigerator if you have a drawer. They also are integrated and blend seamlessly into your kitchen or bar. Now, let's look at the best units. Stainless Steel Interior – This Feature will help maintain cold air making it more energy efficient and, at the same time, keep it more sanitary. True Precision Controls – Steel touch technology controls with a readout that provides digital accuracy. Soft Closing Drawers – This helps the door close and prevents it from slamming. UL Rated for Outdoor Use – Able to be used in an outdoor application. LED Interior Lighting – Allows for better visibility when selecting an item. Sabbath Mode – Will comply with requirements for the Sabbath or other religious holidays. True Refrigeration is more of a commercial brand than a residential brand. That being said, you will get a commercial quality build that is known to last, while still having a residential look to it aesthetically. The stainless-steel interior will keep it more sanitary then a porous plastic interior would, and it also helps the fridge absorb the cold better. This unit is UL approved to be placed outside due to its solid stainless construction. Full Extension Soft Close Drawers – Provide ease of access and prevents the drawers from slamming closed. Smart-Touch Control Panel – An interactive and easy to use touchscreen that allows for precise temperature control. 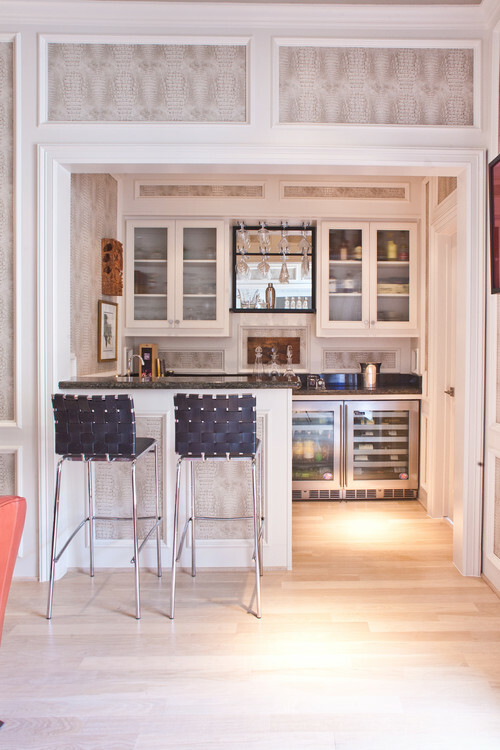 Panel Ready – Accepts custom wood panels to blend with the surrounding cabinetry. Stainless panels also available for purchase for additional costs. 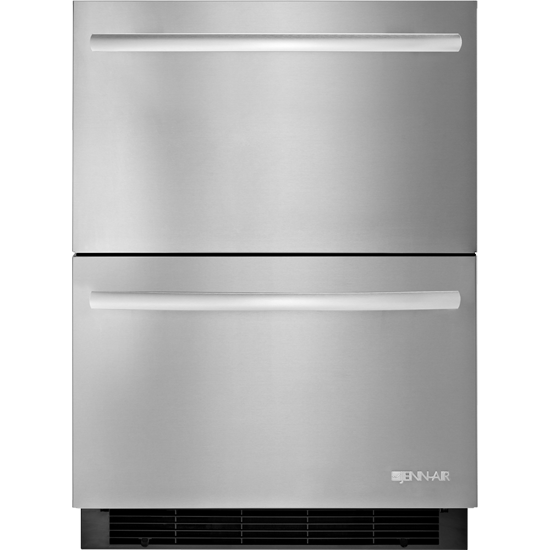 Sub-Zero today is one of the most reputable built-in refrigeration brands in the residential appliance market. They built the first drawers over 20 years ago and have improved ever since with touch controls and LED lighting. Dual-Zone Temperature System – Allows each drawer to have its own temperature settings to achieve optimum storage conditions for different types of foods. 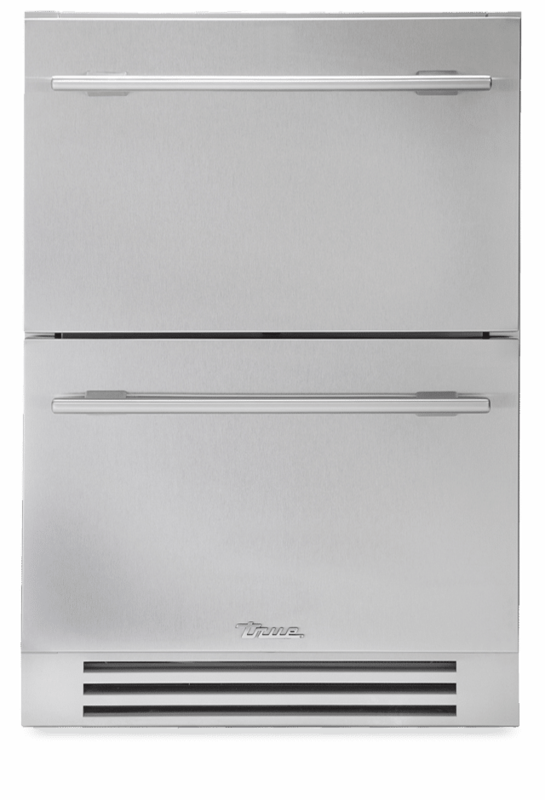 Light-Guided Electronic Controls – Intuitive response controls that make it easy to set the temperature in each drawer. 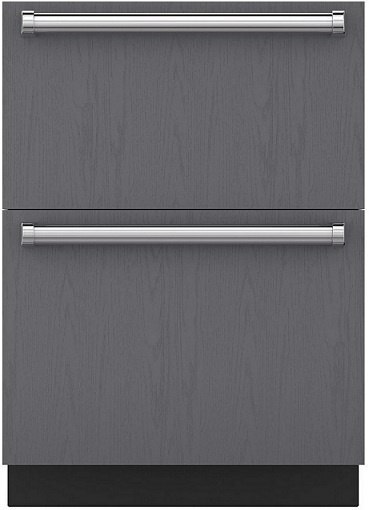 Fully Extension Soft-Close Doors – Allows for ease of access and prevents the drawers from slamming closed. Max Cool Option – Will keep internal temperatures extra cold for 24 hours during heavy usage or with temporarily warm room temperatures. Jenn-Air is the premier brand of the Whirlpool company. In the Jenn-Air refrigerator drawer unit, you will get dual temperature zones, meaning you will be able to have 2 different temperatures in each drawer, determined by the product being stored. Another unique feature is the Max Cool option for chilling beverages faster. Marvel and their sister company U-Line are being transitioned as part of their new owners, Middleby. They were known for decent specialty refrigerators, but have fallen back a bit. True is the most solid, but you are probably placing it inside your house. The all stainless construction does hold and absorb cold better keeping drinks at a lower temperature. Jenn-Air does the same with its Max Cool options. That said, you should consider Sub-Zero because they have the best controls and temperature management. The drawer is a luxury item and a bit expensive but does allow you good ancillary storage in your kitchen or bar. Need more information on under counter refrigerators and ice makers? Read the Yale Under Counter Refrigerator Buyers Guide with specs, features, and updates to all the major refrigerators. Over 240,000 people have read a Yale Guide.